The RizalTech has been awarded by the Department of Science and Technology as the Center for Astronomy Research and Development by the Department of Science and Technology with a grant of PhP 32,716,361.60. The entire Department of Earth and Space Sciences of the University with the able leadership of Prof. Ryan Guido and Dr. Edna C. Aquino has done a tremendous job in successfully presenting and defending their proposal to the Department of Science and Technology. 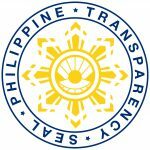 They had to undergo three stages of evaluation, with the last and final stage being presided by none other than DOST Secretary Fortunato Dela Pena.